Made this yummy Green Smoothie with my egg whites for breakfast. 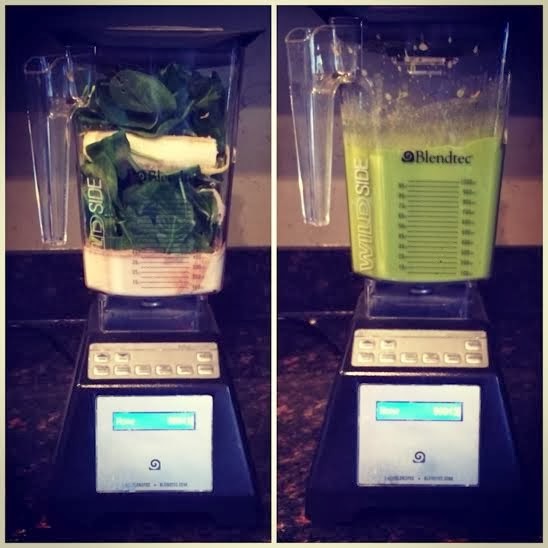 Handful of Spinach, half a banana, 1 tsp almond butter, 1 cup almond and a scoop of vanilla protein powder. Is there any liquid in this? Almond milk or anything? The recipe says "almond", and I wondered if that meant "almond milk." Also, I wondered how banana-y this tastes. I can't stand bananas, but I'm willing to try it if you can't taste them much. Or do you think I could sub blueberries for the banana?